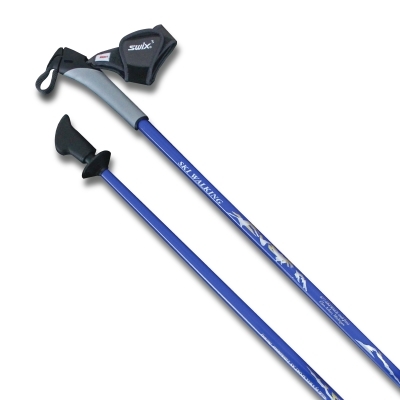 SWIX of Norway makes the best ski racing poles, and SWIX of Norway has worked with us here at SKIWALKING.COM and the American Nordic Walking System to design the #1 rated walking poles in the USA. We start with proven and successful one-piece poles. Durable metal tips for off-road are added. Removable rubber tips/asphalt paws for pavement and other hard surfaces included. Comfortable, patented ergonomic grips and straps are also included. 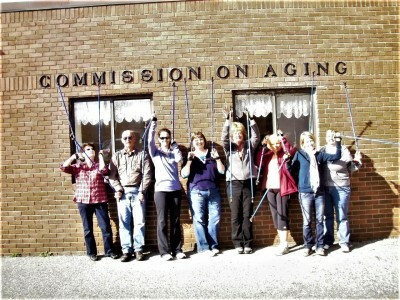 Our SWIX walking poles come in 32 lengths - an industry 1st. The time to launch your waking campaign is now. $69.95 per pair The legendary SWIX VIP Nordic Walking Poles are the #1 rated and the best selling walking poles in the USA. Why? 32 different lengths guarantees everyone a Perfect Fit + there are no twist-locks or flip-locks. Comfortable patented Nordic straps included (costing $40-$50 in Nordic ski shops) + durable metal tips for off-road and authentic SWIX boot-shaped Rubber Tips for pavement, cement, carpet, tile, indoor/outdoor tracks ....... Free Nordic Walking DVD + printed instructions included + friendly phone support - talk to a real person right here in the USA. $99.95 per pair The Carbon VIP Poles come equipped with cork grips and provide our customers the option to experience quality one-piece carbon poles equipped with cork grips. The carbon and cork combo is a nice upgrade. Comfortable patented Nordic straps included + durable metal tips for off-road and removable rubber tips for pavement and other hard surfaces. Carbon makes these walking poles lighter and more shock absorbing. Free DVD + printed instructions included + friendly phone support - talk to a real person right here in the USA.